Gritty, heartrending and unputdownable – the story of two sisters sent first to an English, then an Australian orphanage in the aftermath of World War 2. Rita and Rosie Stevens are only nine and five years old when their widowed mother marries a violent bully called Jimmy Randall and has a baby boy by him. Under pressure from her new husband, she is persuaded to send the girls to an orphanage – not knowing that the papers she has signed will entitle them to do what they like with the children. And it is not long before the powers that be decide to send a consignment of orphans to their sister institution in Australia. 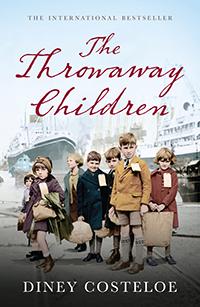 Among them – without their family's consent or knowledge – are Rita and Rosie, the throwaway children.